These programmes assist the youth to develop life skills and coping strategies, and helps them to identify and manage their emotions. Our programmes play a valuable role in addressing the needs of youth growing up in high-risk environments and can increase resilience to negative influences in their lives. Our programmes can be tailor-made to suit the participants’ needs. In South Africa, the youth are constantly exposed to high-risk environments, resulting in substance abuse, violence and other risky behaviours as coping mechanisms. These behaviours in turn have a knock-on effect throughout the lives of such youth and contribute towards the many social and educational problems that our country faces. Through engaging with horses, children and teenagers learn valuable life skills that can be translated back to their real life environments. Many youth that have been exposed to high risk environments struggle to express themselves appropriately, but through working with horses they are able to learn how to express such emotions and learn to develop a bond with another living being in a non-judgmental and unconditionally accepting environment. This unique bond can help a youth develop respect, empathy, patience, confidence, responsibility and assertiveness. Such attributes can help the youth to develop mutually respectful relationships in their lives and help them to overcome their past trauma where relationships with others have been damaging. “A kind of magic happens when a desperately unhappy child is brought to the country to interact with horses. 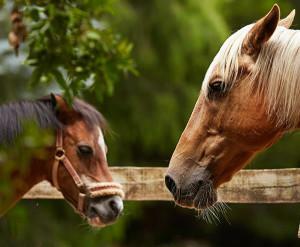 A change of environment, especially from an urban area to open, natural surroundings, filled with fresh air and flooded with sunshine, can have an uplifting and calming effect” (http://aspeneducation.crchealth.com/articles/article-equine-therapy).